Wordsworth Sounding is a project designed to reimagine the work of English Romantic poet William Wordsworth for a 21st Century audience. We will be taking a trusty portable digital recorder with a fluffy wind-protected microphone to collect recordings of some of the sounds that Wordsworth might have heard in his own lifetime. As well as recording snippets of babbling brooks, the whumpf of a diary closing, and the flinch of a blackbird, we’ll be looking at, and writing about areas of Dove Cottage and the Wordsworth Museum that are normally cordoned off. We’ll be stepping over the ropes, and into the Wordsworth hinterland, to see some of Wordsworth’s personal writing and belongings up close, as well as the novels, maps and philosophical tracts that inspired some of the finest poetry of the period. In his preface to the Lyrical Ballads (1798 and later reissued in 1800 and again in 1802) Wordsworth wrote a kind of disclaimer for the book, which, 218 years later we’ll take and use for this blog, where he says, “The majority of the following poems are to be considered as experiments…” and they are “written chiefly [in] the language of conversation…” The poems on this blog are experiments too, responses crafted by schools and community groups from across Cumbria, as well as a handful from among others Harry Man, the current Clarissa Luard Poet in Residence at the Wordsworth Trust – and the first in a trio of poets to be in residence here in Grasmere, a few paces away from the Wordsworths’ home at Dove Cottage. 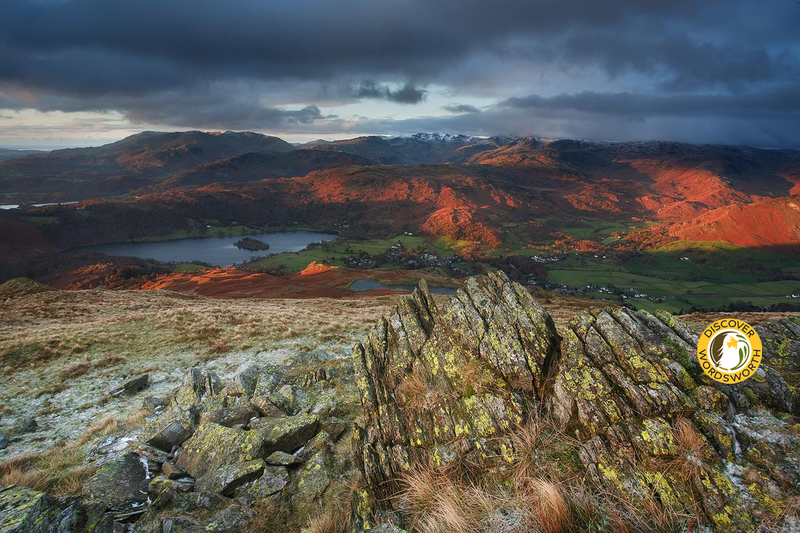 The image on the front page of this website is ‘Grasmere from Heron Pike’ by photographer © Alex Nail 2016.